This is no more than a test and review of the SteamVR Knuckles controllers, as they stated at the beginning of the video, those controllers aren't HTC but Steam. It's a pretty good way to approach the problem of having a better way to interact with the real world. 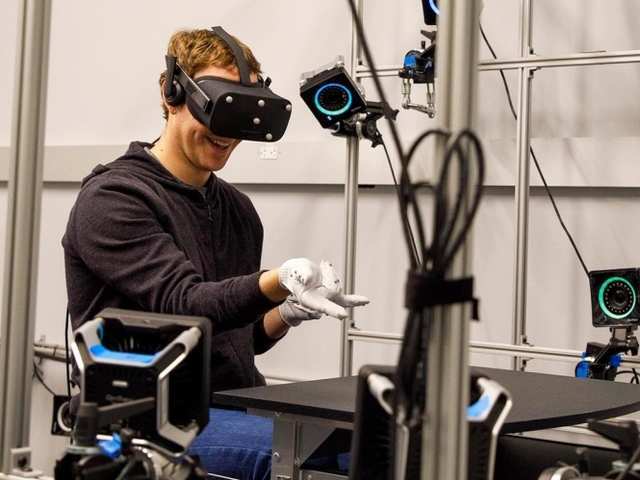 I will rather prefer the one Facebook was testing which is a kind of glove (picture below), but for now I think those are maybe ready for something like 2022 or something like that, also something interesting about this one is what I think is the use of the same hardware like the sensors of the ViVE while the other solutions looks like would use another sensors and also are pretty expensive. After watching it, what do you think? Who is getting a Xbox one x ? Not me so far, maybe that could be a good question for a new thread, I understand the Xbox1X will be VR compatible is a lot of ways but not entirely sure which Headsets will work with it.